If you are experiencing difficulty in getting rid of that wet basement, get prepared to know all about the basement waterproofing system. Effective solutions for basement water damage repair. It is prone to water damage primarily because of its proximity to ground water. When the rainy season comes, the basement often receives the brunt of water damage. 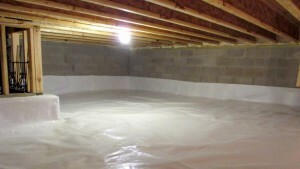 Before your basement get severely undermined by water damage, you need to make it waterproof. Here are the top 5 basement waterproofing tips for the household. 1. Check Your House’s Plumbing Network. – Even before you buy and apply waterproofing products, it is important to make sure that you don’t have any plumbing fixture that is leaking or is already damaged or worn out. Sometimes, you don’t need the rain to flood your basement. A faulty or broken pipe or plumbing can have the same effect. If you are not sure what to look for, having a professional plumber and basement waterproofing experts check it out first is always a good idea. 2. Clean Your Gutters and Downspouts. – Aside from checking your plumbing, make sure that your gutters and downspouts don’t have any obstructions as this can lead to the pooling of water which can overflow and go where you don’t want it to go. Remember that the roof is like one huge collection basin that during heavy rains, it can overflow. 3. Make Sure to Extend Your House’s Downspouts no less than 4 Feet Away from the Wall of Your House. – Closely related to the second tip is making sure that your downspouts are positioned as far away as possible from your foundation. Otherwise, the water from the roof and gutters will simply collect near your basement’s foundation and may leak inwards. So, no amount of waterproofing will save you from water that is coming from the outside. 4. Regrade the Soil to Slope Away from Your House’s Foundation. – It is equally important to elevate the soil surrounding your basement foundation and gently sloping towards the peripheries. This will draw water away from your basement foundation and away from your basement itself. 5. Apply Appropriate Waterproofing Products. – Once you have strengthened your exterior news info defenses against water invasion into your basement, it’s time to add another layer of protection on the inside. You can choose concrete waterproof coatings or even silicate concrete sealers if you have a basement surface that is not painted. Otherwise, you can choose a waterproof paint. Waterproofing your basement is all about minimizing, if not totally preventing, the entry of water from the outside environment. This can then be enhanced further by the application of interior basement waterproofing technologies.